I write to you with deep concern regarding Human Rights and the failure of our government to respect and protect its citizens and abide by any form of justice or principles of equality for its people. Babar Ahmad, a 37 year old British Muslim citizen from Tooting, has been detained without charge in the United Kingdom (U.K.) for 7 years. The crimes that Babar is alleged to have committed are alleged to have taken place in the U.K and relate to his alleged involvement in a website supporting Chechen and Taliban fighters. He was first arrested in December 2003, by the U.K.’s ‘anti- terror police’ and shortly after, released without charge. In August 2004, Baber was subsequently arrested under a warrant pursuant to the ‘Extradition Act 2003’ requiring his extradition to the United States (U.S.) The U.S. does not have to provide evidence before seeking the extradition of a British citizen. U.S. extradition documents state that ‘at all times material to the indictment’ Babar Ahmad was resident in London, U.K. However, the U.K. Crown Prosecution Service (C.P.S) declared in July 2004 and December 2006, as did the UK Attorney General Lord Goldsmith in September 2006, that there was ‘insufficient evidence’ to charge Babar Ahmad with any criminal offence under UK law. Barbars’ extradition to the U.S. is currently being challenged by his legal team at the European Court of Human Rights in Strasbourg (France) who has ordered the U.K. government to freeze his extradition, until they determine his final appeal. Their decision is expected in late 2011. If extradited, it is unlikely that Babar will receive a fair trial, indeed in approximately 90% of similar cases in the U.S., suspects are found guilty. There are reasonable grounds of concern for his safety & welfare, given the number of alleged & documented acts of human right abuses, including torture and ‘death’ faced by ‘Muslim terror detainees’ at the hands of the U.S.
Moazzam Begg (former Bagram & Guantanamo detainee) speaking on the ‘Islam Channel’ show titled ‘Absent Justice: The Case of Babar Ahmad’ which aired on Friday 21st October 2011 expressed a key concern. He confirmed when he was a detainee, interrogating officers had come to him asking if he knew Babar Ahmed but he had not heard of him. Moazzam believes the U.S. is conducting a witch hunt to obtain information from detainees held in torture sites about Babar, in an attempt to build a case against him. Moazzam has been vocal about his time in detention at Bagram, a U.S. Detention Facility where he was hog-tied, punched, and left in a room with a bag put over his head, even though he suffered from asthma. He has also spoken of having witnessed two other detainees being beaten to death while detained there. In November 2010, the British Government announced that it had reached a financial settlement with a number of individuals, including Moazzam, who accused British officials of complicity in their abuse and torture while in the custody of the U.S. I was horrified by the facts communicated on the show and am outraged by U.K. legislation which seemingly allows for state ‘objectives’ to be placed above justice and the rights of its people. Moazzam is a Director at Cageprisoners, a company ‘giving a voice to the voiceless’. If convicted, Babar faces life in a maximum security cell in solitary confinement in the U.S. His parents, family and legal team are all based in the U.K. Whilst in the U.K. legal aid funding is available to fund a defence, in the U.S., defence costs are largely met by a Defendants own means. Babar’s campaign team are urging people to sign a petition, where a minimum of 100,000 signatures are needed to necessarily force the issue of his ‘extradition’ to be debated before Parliament. As all of the allegations against Babar are said to have taken place in the UK, they are calling upon the British Government to put Babar on trial in the UK and support British Justice for British Citizens. In June 2011, the Houses of Parliament, Joint Committee on Human Rights urged the UK government to change the law so that Babar’s perpetual threat of extradition is ended without further delay. Another most crucial point is, that if the U.S. is successful in extraditing Babar, this will open the US flood gates for further extradition of people from the U.K. There are many other detainees currently being held in the U.K. under similar circumstances. A human should not be taken to a foreign jurisdiction for something committed in his home country without at least having a prima facie case against him. The U.K. government is being asked that if Babar has committed a crime then he should be tried in the U.K.; if he has not, then he should be released. This has to stop now. Please sign the online petition by providing correct details (which are not made public) by visiting http://www.freebabarahmad.com/ . The campaign team can be contacted by telephone on 07585 355581. You can write to Babar directly at the address: Babar Ahmad A9385AG, Detainee Unit, HMP Long Lartin, South Littleton, Evesham, WR11 8TZ. The Extradition Act 2003 was fast-tracked into U.K. legislation in 2003 without formal consultative parliamentary process, scrutiny or debate and allows the U.K. to extradite people to the U.S. without the need for the U.S. to provide prima facie evidence to support their extradition request. This means, the accused has no right to challenge any evidence provided by the U.S. in a British Court of Law. This also prejudices the individuals’ right to judicial review of any such extradition order and allows the U.K. government to approve such requests unilaterally, without allowing the individual to defend himself against any provided evidence in a U.K. Court of Law. Unsurprisingly, the UK is the only nation in the EU to agree to such a treaty with the U.S. Other European Union nations either refuse to extradite their own citizens or will only do so on the basis that their citizen is immediately repatriated following conviction to serve their prison sentence or demand prima facie evidence. Further challenges to the fairness and proportionality of this Act of Parliament are made as it provides the U.S with greater powers and the requirement of a lesser burden of proof to extradite from the U.K. to the U.S, than vice versa. 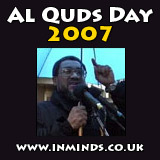 On 28 November 2005, the U.K. Parliamentary Home Affairs Select Committee raised serious concerns about the one-sided U.K.-U.S. extradition arrangements and in particular, the case of Babar Ahmad. In a House of Commons emergency debate on 12 July 2006 about U.K.-U.S. extradition, several MPs from all parties raised concerns at the case of Babar Ahmad. Babar was arrested in December 2003 at his home by U.K. anti-terrorist police. He described being taken down to the prayer room in his home by police who then forced him into the Muslim prayer position and taunted him with “where is your god now?” By the time Babar arrived in the custody suite at the police station he had sustained 73 injuries including bleeding in his ears and urine & sexual abuse. In August 2010, four Metropolitan police officers were charged with ‘Actual Bodily Harm’ for their assault on Babar in December 2003. One of these officers had previously received complaints regarding abusive conduct. In June 2011, following a trial lasting five weeks at Southwark Crown Court, all four police officers charged with assaulting Babar Ahmad were acquitted. Asim Qureshi, Human Rights Lawyer and researcher at Cageprisoners, described attending the trial and explained that the Judge refused to allow the statement of admittance by the Metropolitan Police commissioner and the fact that damages had been paid to be put before the jury lest it ‘prejudice’ the trial. Asim describes how they maligned Babar in Court. 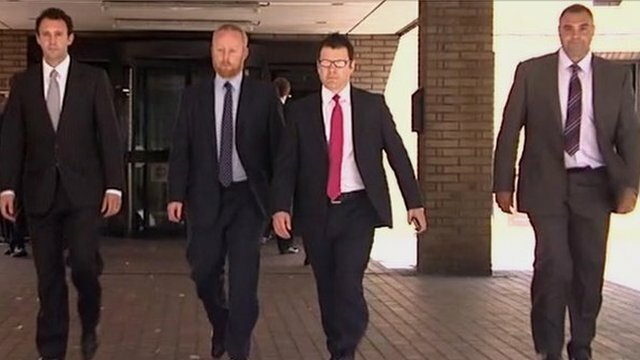 The jury took only 45 minutes to reach their verdict and requested to ‘meet the officers to shake their hands’ following the conclusion of the trial. Asim confirmed that the pay out of £60,000 is very large in a case of police brutality and further highlights the police officers culpability. Know Your Rights Dated but still relevant.